What is Ernests Gulbis tennis racquet? This post will answer that. It will not answer what could have happened to Gulbis’ career if he had managed to control his mental demons and let his talent talk more. Ernests Gulbis tennis racquet is not the Wilson Burn 100 CV , which he endorses, but a Wilson H22 pro stock racquet. 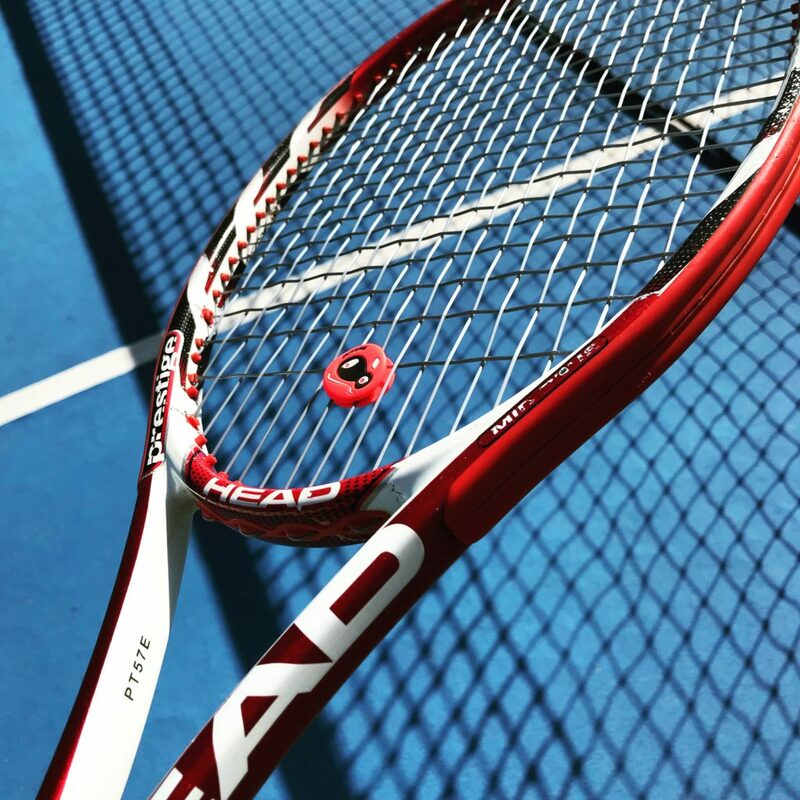 The H22 is a powerful racquet mold used by many pro’s that want a bit more power than the H19 (closest retail racquet being the Wilson Ultra Tour (read my review here). The H22 is most often more similar in power level to the Wilson Six One 95 , but with a 98 sq inch head size, which is better suited to the modern game. Gulbis strings his racquet with Luxilon Alu Power at 28/29 kg to control the massive power he puts on his shots. He used to play with the HEAD PT57E pro stock racquet (based on the iPrestige MP) and my hitting partner Ainars actually plays with two of his older actual racquets. Gulbis is now ranked 104 in the world but has been as high as number 10 (in 2014) and has won 6 titles in his career. He recently reached the finals in Stockholm Open where Stefanos Tsitsipas was too good (6-4 6-4 to Tsitsipas) so he seems to be on track in his career again. 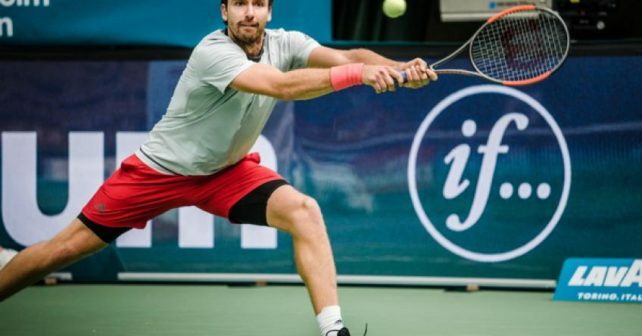 Gulbis is now a father which might have made him rethink his priorities more and look at his career from a different perspective. It will be interesting to see what kind of results his new mindset can bring him. The talent, the serve, and the massive power is there for sure. What do you think about Ernests Gulbis as a player? Do you think he has a few great strides left in him? I really enjoy watching him play, especially that forehand. However, I just him, like Kygrios, Sock, and Fognini, could control themselves and be the great players that their unreal talent should have them becoming. 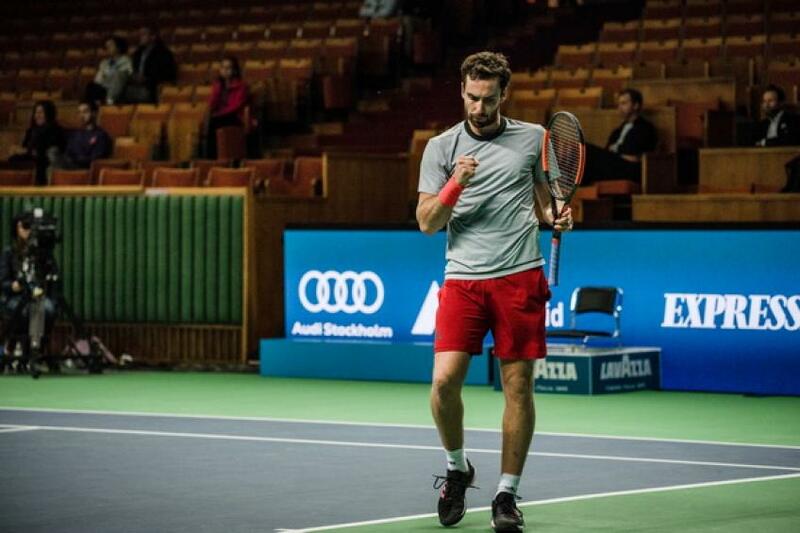 I saw Gulbis play last week in Stockholm Open against Sock. I think it was the Fridays best match, both were playing their best and Sock won the first set. Gulbis really raised his level in the second and third and was mentally strong. He also beat Shapovalov and Isner, so if this continues he is going to win more matches and raise his ranking. Yes, he is making great strides in his game. Definitely has the ability, but needs to put it together. Wait, both your hitting partner and Ernests’ father are called Ainars? What’s the specifications of this racket(? Sadly, I don’t have his full specs. Based on his old PT57Es that I have tried, they should be quite heavy. Around 350 grams with 33 cm balance.